The Green Ambassadors curriculum was created to support and inspire middle and high school teachers in incorporating sustainable service learning into any subject. The curriculum is modular, which makes it easy to implement in whole, or in part across Science, English, College Prep, math and elective courses. Green Ambassadors is an A-G approved elective course. The curriculum includes teacher guides as well as student handouts that foster autonomy and independence as students work in teams to create meaningful and educational events. Custom rubrics make it easy to grade students in their service learning experience. 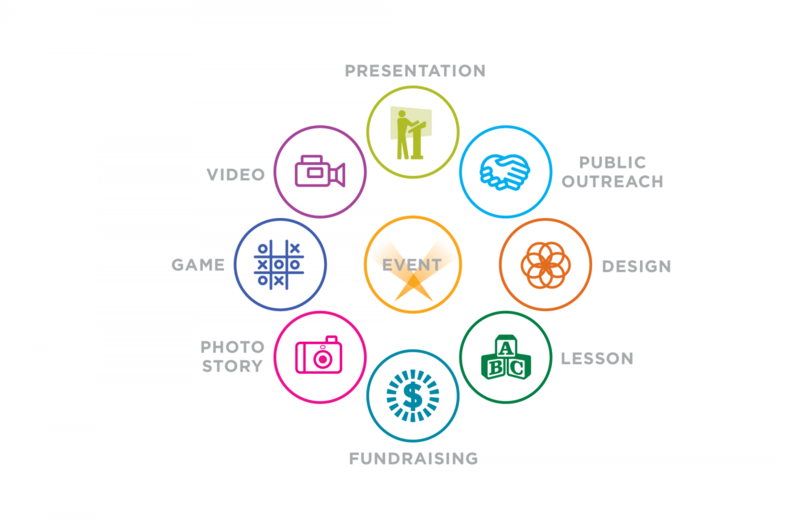 The curriculum explores sustainable issues and solutions and then guides students to work in teams as they produce an event to share solutions with the community.